Vendakkai varuval/Bhindi fry is a tasty poriyal that goes well with all rice varieties. 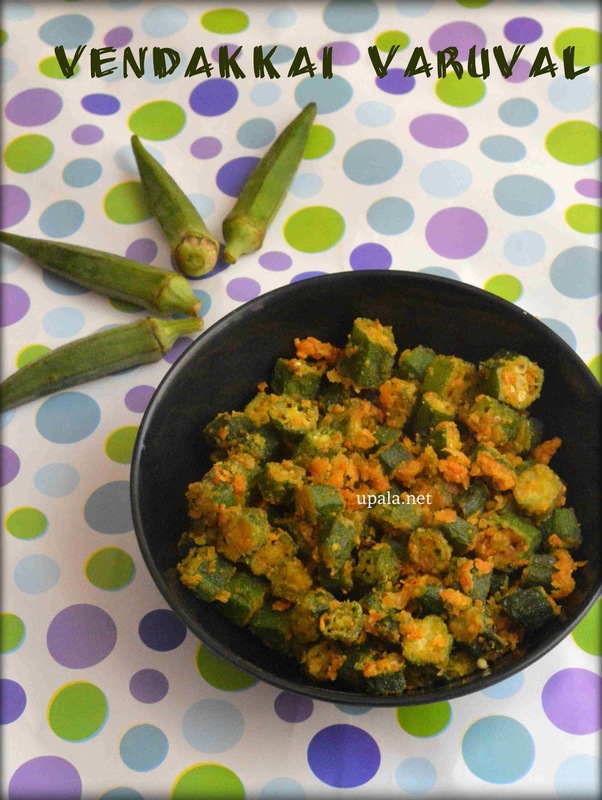 1) Take chopped Vendakkais/Bhindis in a wide bowl. Add Turmeric powder, Sambar powder, Hing , Salt and mix well. 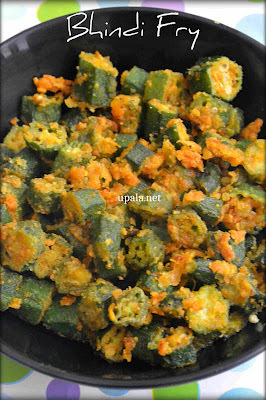 2) Add Besan/Kadala maavu, Rice flour/Arisi maavu and mix again by sprinkling enough water. Set aside for few minutes. 3) Now, heat oil in a kadai and add the Vendakkais in sprinkling way. 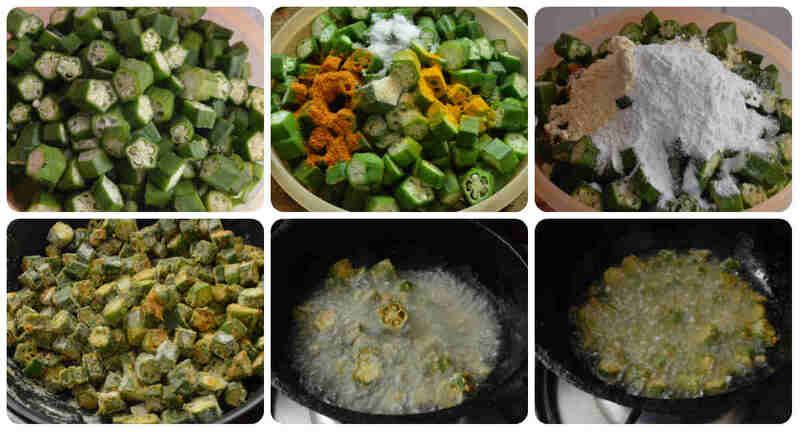 4) After the shhh sound reduces and vendakkais turn crispy, remove them from oil and drop on paper napkins. Repeat the same for the rest of vendakkais.